The EGO 2.0Ah battery can vary on run time depending on the machine it is fitted to.It can charge within 40 minutes with a standard charger and just 25 minutes with a rapid charger. The battery is designed with a patented arc design which helps to distribute to heat allowing long term power and performance. 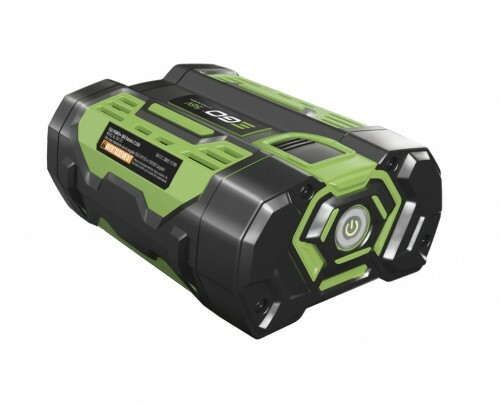 It is the industries first 56V Lithium-ion battery and features a integrated fuel gauge showing how much power is left and each cell is kept cool for long life and able to work in extreme conditions.